Okay, so I really do not get how this movie did not make more noise. I though Karan Johar as splendid at marketing! 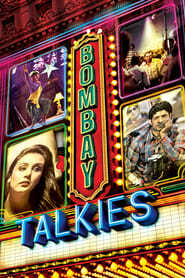 (sorry, not sorry) This movie brings together four celebrated directors: Karan Johar, Dibakar Bannerjee, Zoya Akhtar and Anurag Kashyap, who each contribute one story celebrating 100 years of Indian Cinema. And no, this does not celebrate the masala and the love triangles or have any item songs. This movie is raw and brave and brilliant.